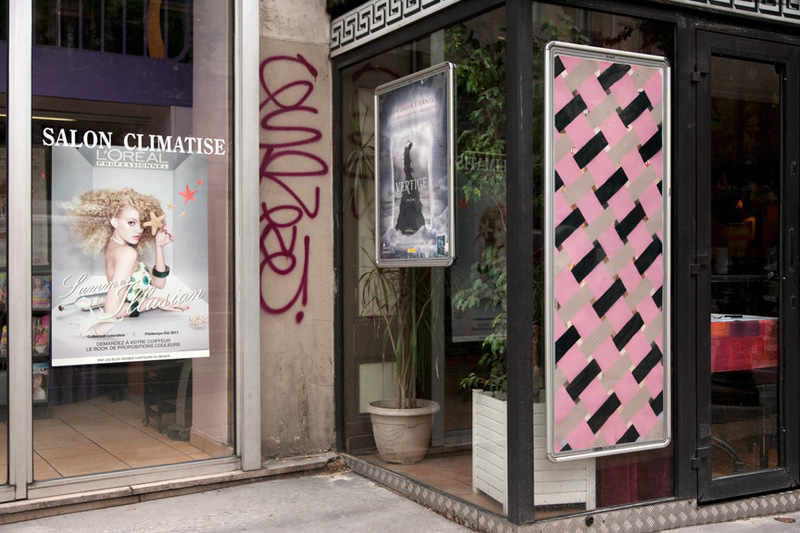 I recently returned from Europe where I was working on some secret projects and looking at new cities for Street Ad Takeover projects. 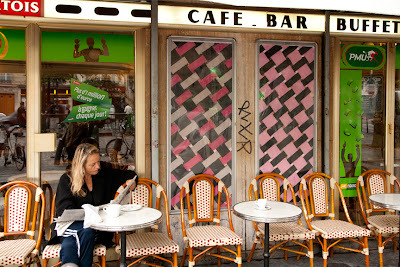 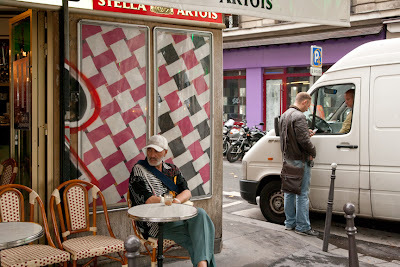 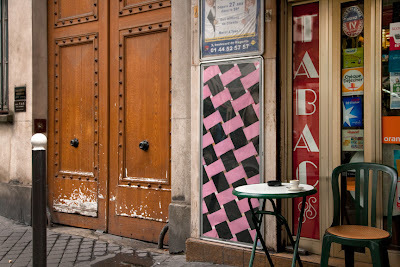 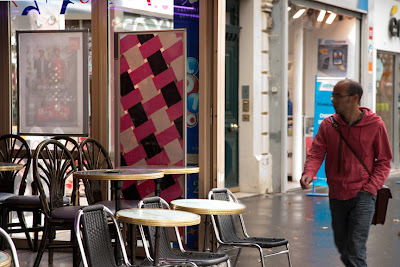 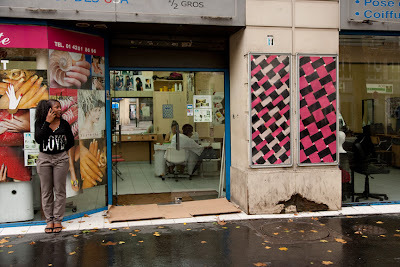 I spent a little over a week in Paris and had a free day to create 11 colored weaves takeovers. 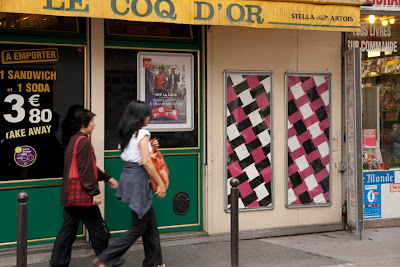 Using these vertical poster sites readily available on nearly every street in Paris, I was able to integrate the work into the environment pretty seemlessly. 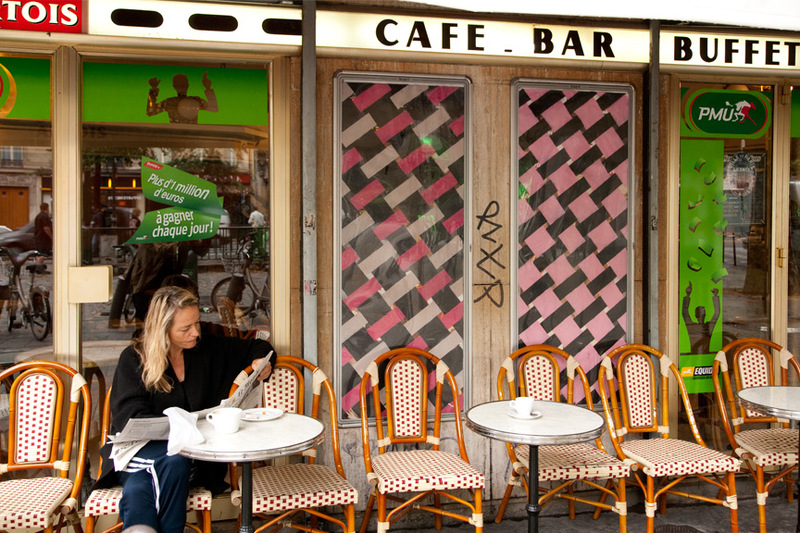 I like how the photos show everyday Parisians oblivious to the alteration and yet surrounded by less commercial imagery than before.